Moving into Healthcare & Nursing is a course for college and university students who need English for their continuing education. 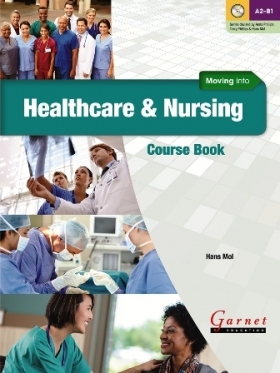 It caters for pre-intermediate learners who want to study more effectively and to prepare for a career in healthcare and nursing. It combines carefully controlled development of English-language skills with coverage of key aspects of healthcare and nursing. A wide range of topics introduce students to the most important and interesting areas of tourism. Key vocabulary from the world of tourism and hospitality is highlighted for easy reference and revision.